The FCC on Thursday proposed eliminating some of the regulatory requirements for phone companies that support the few remaining pay phones. Why it matters: It's another sign of the rapid decline of pre-cellphone era technology. You know the numbers of pay phones are seriously dwindling when the telecom regulator no longer feels the need to track transactions for them. 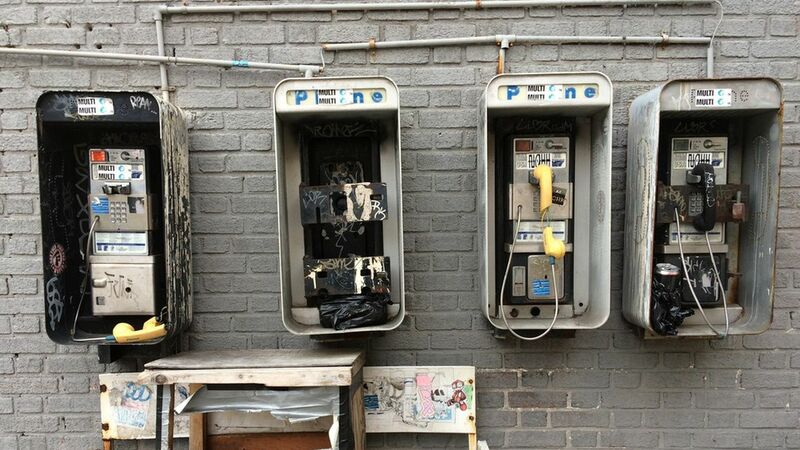 The number of U.S. pay phones has declined to fewer than 100,000 from 2 million in 1997. Cincinnati Bell asked the FCC last month for a waiver to exempt it from filing the annual audits tracking pay phone transactions. According to FCC filings, the cost of Cincinnati Bell's audit is now about five times the amount of revenue it makes from its pay phones. Sprint also asked for a waiver. What's next: FCC Chairman Ajit Pai wants to waive the pay phone audit requirements for 2017 while the agency considers whether to eliminate them altogether. Fun fact: The first pay phone was installed in New Haven, Conn., in June 1880, per the AT&T blog.